Cinco de Mayo has taken on a significance beyond that in Mexico. Here in the states, the date has become a celebration of Mexican-American culture. Celebrate this occasion with a scrumptious spread of food from south of the border, including favorite Mexican recipes made with Verlasso salmon such as quesadillas, tacos, enchiladas, and of course margaritas! In this delicious make-ahead recipe, we use cooked Verlasso salmon, gently folded into an amazing cream cheese and onion mixture. The result is a delicious sustainable version of a family favorite! Add ½ cup onion; cook, stirring until it begins to soften, about 1 minute. Stir in garlic and continue cooking until the onion is translucent and soft, about 2 minutes more. Stir in chile powder. Add broth, water, oregano and salt. Bring to a boil. Reduce heat to a simmer and cook until thickened and reduced by about one-third, about 20 minutes (the sauce should be thick enough to coat a spoon lightly). In a mixer on medium speed, beat together the half and half and cream cheese until smooth and fluffy. Fold in the salmon, onion, and salt into the cream cheese mixture. Butter a small dish and place the tortillas in it. Cover the dish with plastic wrap and heat the tortillas in the microwave at half power until they are lightly steamed. Spoon a thin layer of the sauce into the bottom of a 9x13-inch glass baking dish. To assemble the enchiladas: spread a thin layer of the sauce on the tortilla. Arrange 1/4-cup of the salmon mixture down the center of the tortilla. Roll the tortilla and place it seam side down in the baking dish. Repeat with all of the tortillas. Spoon the remaining sauce over the finished tortillas. Cover the dish with foil and bake for 20 minutes or until hot. 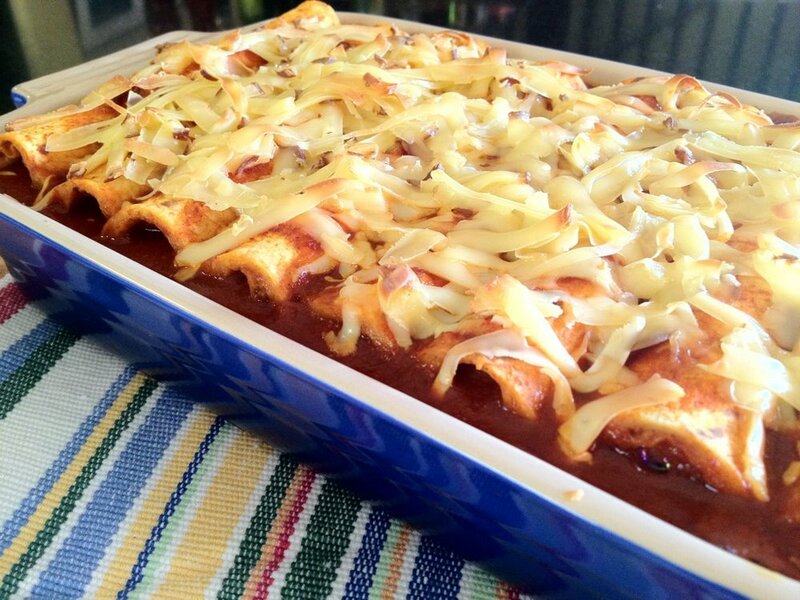 Remove the foil and sprinkle the enchiladas with the cheddar and Monterey Jack cheese. Bake until the cheese melts, about 10 more minutes. Serve with shredded iceberg lettuce, chopped tomatoes, sour cream, olives, and salsa on the side. The Margarita is one of the most popular cocktails in North America, just like Verlasso salmon! Combining the tang of lime and the sweetness of orange liqueur with the distinctive strength of tequila, our Verlasso Margarita strikes all of the right keys for your Cinco de Mayo celebration. Add the ingredients to a shaker filled with ice and shake. Rub the rim of the glasses with a lime wedge and dip in the kosher salt. Strain into a chilled cocktail glass or rocks glass filled with fresh ice. Garnish with a lime wedge. For a slightly sweeter drink, add a dash of agave syrup (one part water, two parts agave nectar) before shaking.